The purpose of this article is to elaborate on this story via a fact timeline and interviews with the three main participants in this incident, the Hardrock 100 race director Dale Garland, Thévenard, and the witness who reported seeing Thévenard violate the event’s rules, Tony Russ. Friday, July 20, 2:47 p.m. — The race organization’s timing volunteers record that Thévenard arrives to the Ouray aid station, mile 43.9 and his stay as two minutes in aid. iRunFar field team reports the same. Friday, after 2:49 p.m. — Bystander Tony Russ witnesses and documents Thévenard and his pacer standing at the back of the open trunk of their crew car in the parking lot at of the Bear Creek Trailhead, mile 46.6. Russ tells iRunFar after the event that he witnessed Thévenard drink water and his crew do something with Thévenard’s pack, and that the incident lasted for three to four minutes. After the event, iRunFar reviews the photos Russ took, which corroborate his witness account. Russ reports what he observed to Garland at the Ouray aid station. After the event, the race organization reported to iRunFar that they began their investigation at this point. Friday, 5:13 p.m. — The race organization’s timing volunteers record that Thévenard arrives to the Engineer aid station, mile 51.8, and his stay as two minutes in aid. Friday, 6:33 p.m. — The race organization’s timing volunteers record that Thévenard arrives to the Grouse Gulch aid station, mile 58.4, and his stay as seven minutes in aid. iRunFar field team reports his stay as 8 minutes. The race organization reported after the event to iRunFar that they spoke with Thévenard’s crew for the first time at this aid station as part of their investigation. iRunFar did not witness this interaction. Friday, after 6:33 p.m. — The race organization reported after the event to iRunFar that they were recontacted by Thévenard’s crew, who wished to update their answers to questions asked of them by the race organization. Friday, 10:02 p.m. — The race organization’s timing volunteers record that Thévenard arrives to the Sherman aid station, mile 71.9, and his stay as six minutes in aid. iRunFar field team reports the same. The race organization reported after the event to iRunFar that they spoke with Thévenard here, asking him one question. iRunFar witnesses this interaction, which was brief and involved a written question asked of both Thévenard and his pacer in French. Saturday, July 21, 3:24 a.m. — The race organization’s timing volunteers record that Thévenard arrives to the Cunningham Gulch aid station, mile 91.2. iRunFar field team reports the same. The race organization reported after the event to iRunFar that: they spoke with both Thévenard and his crew for 15 to 20 minutes; that Thévenard and his crew answered in the affirmative when asked a series of questions about if outside aid was provided at the location reported and if they had read and understood the rules of the race listed in the Runner’s Manual; and that they told Thévenard he was disqualified and he had the option of finishing the course as an unranked runner, but that Thévenard opted to leave Cunningham Gulch in his crew’s car. iRunFar witnessed that this meeting from a distance, but did not hear what was discussed in it. Saturday, before 4:23 a.m. — The race organization posts notice of its disqualification of Thévenard to its website and social-media feeds. Saturday, 4:23 a.m. — iRunFar receives a phone call from the organization confirming Thévenard’s disqualification. Saturday, 6:25 a.m. — Thévenard makes a public statement on in Facebook page where he admits he took outside aid from his crew at the Bear Creek Trailhead, but that he disagrees with the severity of the penalty he received for it. Sunday, July 22, about 10 a.m. — iRunFar interviews Thévenard. The transcript of the interview is shown below. Sunday, July 22, about 1:30 p.m. — iRunFar interviews Garland. The transcript of the interview is shown below. Sunday, July 22, about 3:45 p.m. — iRunFar interviews Russ. The transcript of the interview is shown below. iRunFar: Xavier [Thévenard] was officially disqualified at the Cunningham Gulch aid station[, mile 91.2]? Is that where it was made official? Dale Garland: Well, he was presented two choices at Cunningham. He was presented with the choice to drop out and be treated as a dropout at Cunningham or to continue onto Silverton as an unofficial finisher if he wanted to finish the 100 miles. iRunFar: He was disqualified for taking aid at the Bear Creek Trailhead[, at mile 46.6]? Garland: If anybody looks at our updated Runner’s Manual, if you look on our Executive Rule Summary, it’s Rule Number 5, which is that runners won’t stash supplies along the course or receive aid outside of 400-foot area around an aid station. iRunFar: You were made aware of [Thévenard’s possible rules violation] by a bystander? Garland: I was made aware of it by a spectator who from my gathering of information was innocently taking pictures and following Xavier as he went up the Bear Creek Trail. Garland: Yes, being a fan, and in his picture taking he came upon Xavier and his pacer taking aid from a crew car at the Bear Creek Trailhead. Garland: He did… After that, he shared that with several people, friends primarily or acquaintances. He didn’t come directly to us. It was based upon the recommendations of his friends in the running community that he presented that to us. iRunFar: So he explained what he saw and showed you the photo, and it was clear that this was not in the rules? iRunFar: So discussion was begun among the organization then? Garland: Correct. Every year we’ve formed an infractions committee to handle any kinds of protests or infractions that are brought to our intention. It’s not the purpose to go out and look for things, but should something happen, we want to have a system in place to deal with it. iRunFar: You brought [the report] to the committee and there was a period of discussion about it? Garland: Correct. I think there are two things that maybe have a bearing on what some people perceive as the timing of things. One was was catching up with Xavier and his crew at a point they could talk. The other point was, in conjunction with that, finding an interpreter who could speak French so that we understood each other. Finding this in Silverton on a Friday afternoon was pretty tough. iRunFar: The rumor is that [the organization] approached Thévenard’s crew for the first time at Grouse [Gulch aid station, mile 57.4] and then approached him at Sherman [aid station, mile 71.9]? Garland: Yes, we sought clarification because we knew that the next place his crew could be was at Grouse. By the time we contacted his crew and asked that they stay and arranged for a translator and everything, he had already taken off [from Grouse, and] the next place we could actually engage him was at Sherman. Those were places where we could not only engage him using our Ham radio system, but also that we could have a French translator. Garland: We made a cursory decision before we went into Cunningham. The decision was [going to be] based on what we heard from him at Cunningham. iRunFar: You had a conversation that lasted several minutes with him at Cunningham. Garland: Fifteen to 20 minutes with a French translator. By then, the conversation and the answers to the questions had changed dramatically on behalf of both him and his crew. iRunFar: He ultimately said [that he took the aid and that he understood the rules]? He posted afterward on Facebook and then what he said to iRunFar [on Sunday after the event] was that he agrees that he did take aid and he violated the rules, but he also says he thinks the punishment was crueler than the violation. iRunFar: I am wondering what you and the rules committee thought about [that statement of Xavier’s]? Garland: Yes, that’s a topic of discussion, and to be honest, we’ve never had to deal with this. iRunFar: Are these the first two disqualifications ever? Garland: Yes, we had no template or metrics to do that, so we really had to come up with what we thought was an appropriate penalty. We did talk about a time penalty, but without any kind of a template or understanding of what that might look like, it seemed to us it would be a very contrived amount of time without deliberation and without looking at other models. So then a lot of people said, ‘Well, then why did you feel a need to take such an action…’ But we felt it was in the best interest of our event and the best interest of Xavier to not have this play out at the finish line. Dale Garland: Is this the new Hardrock? No. In the case of Xavier, we were presented with evidence that we decided we had to do something… Both of those situations were lose-lose situations. In the case of [Dima], it was reported that somebody went off course. We went over that it was a closed course and if you go off course, there are consequences. In my understanding… these are pretty accepted norms that you only accept aid at aid stations, and if you go off course, you return to the point where you left the course. In that sense, I don’t think we’re really breaking much new ground here. We’re just abiding by what we have stated publicly in our runners’ manuals. iRunFar: How do you feel about the choice of the race [organization] to disqualify you? Xavier Thévenard: I don’t think that [the decision] was appropriate for what we did, it was only a sip of water, it feels disproportionate in comparison. We should really mention that there was a woman sharing sweets on the first summit [after the KT aid station, mile 11.5]. You could just open your hand and she’d give you some, it was considered outside the zone. Today, how many runners grabbed small things outside aid stations? You’d need to put judges everywhere and it doesn’t make sense… In all European rules, it’s one hour maximum [penalty] but you don’t disqualify someone after 145 kilometers… I wonder what the organizers would have done if we had gone through Cunningham without going through the aid station. Would they have disqualified me?… I think that they lose a bit of credibility with everything, this disqualification is disproportionate for a sip of water. We had just ran 145k and 21 hours. We are three hours ahead of Jeff [Browning]. I think that [Jeff] feels uncomfortable about all this. Everyone feels uncomfortable. iRunFar: Where did you exactly receive aid? What was the aid that you received for being disqualified? Was it at the Bear Creek Trailhead? And what happened there? Thévenard: After Ouray, after the tunnel, yes it is giving aid but we have to mention that there were people after Ouray that sprayed water on me as well. It was not considered external aid but it could also well be. We have to put things back in context, and sometimes it just doesn’t make sense. The disqualification is too harsh in my opinion. Yes I did take water 2k after Ouray, but someone, that I didn’t know, sprayed water on me beforehand [between the aid and where the incident happened]. iRunFar: Was it your crew [at Bear Creek Trailhead who aided you]? Thévenard: Yes, but it wasn’t planned. We didn’t even think about it. I didn’t even think about doing something bad. I had too many things to manage with the pain, it didn’t cross my mind one second. For me, I wasn’t cheating, I wasn’t thinking about the fact that they could disqualify me for this. It’s unreal. I could have taken water from the river and it would have been the same. I did something that wasn’t in the rules. I didn’t even think about the fact that I was outside the zone, I didn’t want to cheat, it wasn’t intentional, it was on the moment but the disqualification is too strong after so much investment. It’s not even clear. If they had told me that they’d add an hour to my time, it would have been okay to me. iRunFar: Do you think that you’ll ever try to come back to Hardrock? Thévenard: I am a little disgusted… With the amount of investment that I gave.. This race is great. It’s a great 100 miler. The organization is super friendly and relaxed compared to European races. There is a paradox that I don’t understand between the general atmosphere and the penalty that they gave me. I am ahead of the race but I don’t consider that I am a top runner. Mistakes happen to anyone, top runner or not. These are labels that we put on people. I am neither a top runner nor an average runner, we’re here to run and spend some time in the mountains. There are limits that we give to each other but I think that this [the penalty] goes out of context. iRunFar: I don’t know you too well, but what I have seen is that your spirit, personality, and character seems very close to Hardrock’s spirit. Thévenard: I think that I will never understand. It’s inhumane, with all the training pain, the project, the race. We’re blocked at 145k and 21 hours! We hurt everywhere. Give me one hour but don’t disqualify me. We didn’t hurt anyone, we have to put things back in context. We didn’t cheat, there was no intention to cheat. iRunFar: This was on the trail up from Ouray as you go up next to the Uncompaghre [River]? Russ: You go down to the Bear Creek Trailhead above that highway. iRunFar: Right, you do that weird trail to get up above the highway to Bear Creek. iRunFar: Just explain what you saw. You were going behind [Thévenard] on the trail and you came up into the trailhead parking lot? iRunFar: Were they already at the car when you came up into the parking lot, or [was Thévenard and his pacer] walking to the car? Russ: Yeah, they were already at the back of the car. iRunFar: And the car was open? iRunFar: What was your estimate on the amount of time they were standing there with the crew? Russ: Three to four minutes. I had time to go call my friend. I started a video. iRunFar: What did you do, disappear from view? Russ: My car was across the highway, and I went to go put my dogs away. iRunFar: You actually ended up walking past them and they saw you? iRunFar: To review what you saw, by the time you came up to the parking lot, [Thévenard and his pacer] were already at the car. The two women were out of the car and in the back with them? Russ: Yeah, tending to him, I think, messing with his pack and doing whatever. iRunFar: They were ‘messing’ with his pack? iRunFar: Did he take his pack off? Russ: It didn’t look like he took his pack off. I only walked by briefly, so I only saw so much. That’s about it… Then I went down to Ouray still pretty much planning to tell people but still not really knowing if I should tell that aid station or if I should just, like, wait and go to the [race headquarters at the Silverton] gym at some point when I come back. I talked to a couple people, and then I saw Jamil [Coury], and I was like… I just need to do whatever he tells me to do. We recognize that the confirmed rules breach by Xavier Thévenard and the decision by the Hardrock 100 run organization to disqualify him are contentious in their nature, and we expect that comments about it to be contentious, as well. However, we also recognize that through difficult conversations like this we as a community can learn, grow, and help define our identity. So, though we welcome discourse on iRunFar, we do require it to be civil and in adherence with our comment policy. Comments which do not adhere to the comment policy may not be published. Thank you. Not sure I should post this as I genuinely don’t intend to question Xavier’s integrity by making a speculative post, but I think it is somewhat relevant given what just happened. Hopefully coincidental but I have always been surprised XT’s pack at UTMB (& other races) is so small, & minimal looking when (specifically at UTMB) there is a large mandatory gear list. Perhaps he is an ultra-minimalist (maybe even to the point of stretching the rules by packing ladies tights to fulfil the “race leggings” requirement – don’t laugh as I’ve heard other runners doing just that!)? Weather-allowing, I like to pack minimally myself with the latest ultra-light gear and yet still I don’t know he fits all his mandatory gear in his small Camelbak pack, when all other runners look to have their packs stuffed full! If you’re not sure what I mean, search for pictures of him at UTMB, then look at the required gear page! All that said, like all runners, he has to have his kit checked so I would presume he doesn’t cheat in this regard, and in regards to the Hardrock incident I would equally like to take him at his word that it wasn’t intentional cheating, rather more of an innocent, careless mistake. FWIW, moving forward I hope Hardrock will introduce a more serious & comprehensive rules list including time penalties. 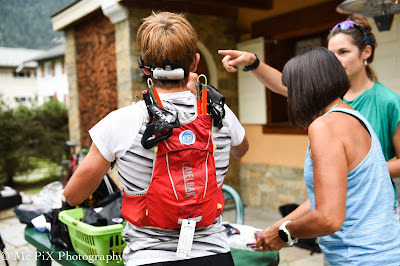 My understanding is that at euro races, and especially things like UTMB, they do extremely thorough checks of the mandatory equipment your need at every aid station. Or at least extremely regularly throughout the race. Hard to believe you could get away with it with all the checks. In utmb the runner are super checked but the élite really pack absurdly light. For instance tgey have surgery gloves and 180g insulation packs like nothing. super tight with nothing more than mandatory. I saw Jamil [Coury], and I was like… I just need to do whatever he tells me to do. way to go Jamil,,,,,,Talk about a hypocrite. I don’t understand how the criticism has extended to the man who reported the incident. Do you mean the rule book? So if something is wrong by the rule book, you’re suggesting it’s wrong to report it? I get you can be upset about the disqualification, but it will never be wrong to report somebody breaking the race rules – especially if it is confirmed he did actually break the rules. The standard is fuzzy, notwithstanding the rule book. And again, just because something is wrong doesn’t mean it’s right to report it. It is surprising that now one has brought up the money trail or the fact that the “winning” runner is sponsored by Altra. The race directors who made this highly questionable decision certainly received a large amount of money from Altra, since they were the top level (“diamond”) sponsor of the event. Jeff Browning, the runner they gifted this “win” to is sponsored by Altra. Jamil Coury, the person who triggered the investigation, also runs a company, Aravaipa Running that is partnered with Altra. Does Altra plan to capitalize on this “win” in any way, like advertisements with pictures of Browning the “Hardrock 2018 winner”? How is Jamil a hypocrite for suggesting that a possible rules infraction should be reported to the RD? are we really not able to differentiate between swigging a beer in the moment between a crew vehicle deliberately driving to an out of the way point meeting the runner? Like, why was his crew there at all? What ultras are you guys running where crew is meeting runners in between aid stations? Well in europe you can have your family, friends, unknown New friends and fans all along utmb so for a champion like Xavier he is used to meet friends and supportive people all along the way. You have to imagine that he does not speak english well so he spoke just à little with Jason and Kj in 2016 in hours of racing. So yeah it sounds logic for his crew to go cheer him in between as hé was quite alone ahead. Realky does not sound suspect to me, but I assume hé might avoid that in the future ! This guy is an amateur with à réal job as a coach in cross-country ski and hé his not an agressive competitor. Hé didn’t race teack in collège and stick to his birth mountains, very rooted authentic Mountain man. As hé is very close to the “alerican touch” to ultra running. Actually hé is réal close to many casual ultra runner in France, juste way stronger ! First I would like to take this opportunity to outline the great work you are doing IRF and thank you for this. Then about what happened I must say when I read the news while following the race I was very disappointed and quite upset. After reading all the information and comments (especially the comments here which most of them are moderate compared to others over Twitter or FB) I feel sad for both sides. I take it that RD and committee had a tough call and made their best to weigh and take the right decision. Also Xavier and his crew clearly made a mistake and admitted it. The point is about the proportionate punishment and the reasons which led to it. Taking into consideration whether or not it was intentional and whether or not it gave to Xavier a decisive advantage should have been the justification to DQ him or choose a lighter punishment like time penalty for example. Intention really don’t seem to be the case here (they did not hide at all) and the advantage was rather small knowing that 2 miles before he refilled his bottles at Ouray aid station. For those who don’t know Xavier he is a humble and genuine ‘mountain guy’ not known at all for any kind of ‘bad things’ on races (quite the contrary). I hope he will overcome this and come back in Silverton as I feel like he is very sensible to the spirit of the Hardrock and its community. I also hope Hardrock will stay the same special “Endurance Run” with the sport spirit I thought it had and still think even if I have a reasonable doubt that the decision would have been the same for a Jeff or a Jamil in the same situation. Final word for Jeff Browning who did a great race and who is such an incredible and consistent runner (32 100milers if I well remember… man! ), an inspiration (even for a French runner like me;)! Keep going Xavier, Jeff, Dale, IRF and the whole community. I also tjink there was à serious bias. They wouldn’t have ever gone that harsh on an american star that is related to their sponsor. Maybe you underestimate how serious deep and sad this décision is for ultra running if such kind of corruption kicked in even inconsciously. I wonder what the long term impact will be for XT. I suspect he will have much higher name recognition than he would had he just won the race without any controversy. I doubt any of his sponsors will drop him over this. They probably love the added exposure. I will be surprised if no legal action comes from this. I won’t be surprised if Xavier’s sponsors sue Altra or the Hardrock race organizers. The Hardrock organizers have a rather significant history of legal issues regarding all kinds of impropriety related to this race. Everyone connected to this bizarre DQ decision has clear ties to Altra. That would all be relevant in court. You would not be making these baseless accusations if you were not hiding behind a wall of anonymity. In fact, I’m surprised your attacks don’t violate community standards as they could be loosely construed as libelous. Xavier and/or xavier sponsors will not sure anyone, this is so silly ! Xavier is french and french people are not sue-happy people. As an example, they don’t sue a fast food chain because a coffee mug is too hot….. This is purely an american thing and I bet my money that this comment was written by an american person. Xavier will move on and hopefully he comes back to Hardrock, gains probably 2 mins by not stopping to say hi to his girlfriend at the bear creak junction with the million $ highway and finishes first just like he deserved. I cannot believe all these subjects being brought up to the surface in all these discussion posts, just to mention some: EPO, intentional cheating, sponsorship interests, lawsuit… I never want to be (even as a mere fan and trail running amateur) a part of this in any way. I will remain as distant from races as I can be, I will be running till I drop in the loneliness of the forrests and trails. That is where TRAIL RUNNING is for me and always will be. I never want to see the beloved trail running scene becoming another “professional road cycling like” scandals making giant. Last week I even found on the web some conspiratorial theories about Kilian Jornet never climbing Everest and so on. Do we people really have to ruin every sport discipline? Please let us not do it with TRAIL RUNNING!!! Everyone is underestimating the effect of culture in this. It’s not a coincidence that the only, or one of the only non-Americans in the field was DQ’d. I’m Asian ethnically, Asian-American, I guess, but people, including me, don’t like the hyphenation – but needed for this story. Growing up I’d have my two non-English speaking grandmothers visit us in the US. They would do things in public, restaurants for example, that cracked me up. I’d tell them, you can’t do that in America. They’d say why not? They just didn’t understand, even when you explain it to them. It just doesn’t make sense in their world. So they laugh, and keep doing it. It’s not as simple as telling them this is the rule. And it’s clearly not malicious. Same exact thing with Kilian way back when he was cutting switchbacks at Speedgoat (?). My take is that Xavier’s crew, the girlfriends, likely had absolutely no clue that it was against the rules to provide aid. You say, well the crew should know – it’s in the rules. Well how would they know? Xavier would be the one to tell them. But Xavier obviously didn’t have a full grasp of the rules, including how serious onlookers might take the rules. That’s something an American would not be confused about – they know all about people that are nit picky about things like that, but he isn’t exposed to that in Europe. He said that the contrast between the easygoing nature of the race and the harsh DQ perplexed him, and I can totally see that, especially since he came from a different culture. People mention the car like it’s a big conspiracy. I don’t get that. Imagine two young women seeing on a map that they can see their runner if they go down that road. They go, park, open the hatch to hang out outside the car and wait. It can just as easily be viewed as innocent, though ignorant of the rules, if you can put yourself in their place for a minute in your mind. The observer himself said they weren’t trying to hide or do this in secret or anything like that. The race management themselves said that they didn’t believe it was malicious cheating. What a coincidence the race directors who made the decision to DQ Xavier received a large amount of money from Altra, the company that also sponsors Jeff Browning, the runner they gave the win to. And Jamil the guy who apparently got the ball rolling on the DQ, also runs a company that is partnered with Altra (read as receives money from Altra). Hard disagree. I seriously doubt that in the moment Dale and Jamil were thinking “Sweet, an opportunity to make more money from Altra by disqualifying XT.” Come on. Perhaps. On the other hand, it’s quite easy to imagine a situation where the rules committee’s final decision could be swayed (even if only subconsciously) by a fear of how Altra might react. The rules committee certainly had ample time to consider this as it took many hours for them to make their DQ ruling. Would Altra (or a proxy for Altra) have launched a complaint and/or considered withdrawing support for HR in the future if Xavier had gone on to win despite a time penalty? The financial and/or promotional incentive for Altra in having a HardRock 100 Champ on their team is certainly there. all this speculation has gone off the rails! AJ checking in on this one. I have thedocuments proving Xavier was paid off by Altra to throw the race. Look into it. I don’t think the RD wanted to DQ Xavier. He had the responsibility of upholding the rulebook which I stand behind. If Xavier could not read the rulebook then he should have received help from a translator. Hardrock had no precedent for this, so a very difficult decision. That is a great perspective to provide. I’m sure there was no French rule book and their grasp of the rules before was probably affected by this. I am frenchand luved in the us and I totally aprove your pist. Lots of bias in the us, proud easily tend to bias and sometimes worse. American people are the most biased population I ever let while teavelling (mostly europ). Addind the altra and closely tight community there is à biad for sûre. And consistent witj the “harshness shift” in the décision. It it makes xav famous in the Usa I think hé does not care much ! For some reason this forum and the topic at hand cause me to reflect upon the whole tofol and iker running together situation for utmb 2014. They clearly muled for each other and offered each other aid. IMO that is cheating, I said something and people blasted me for it. Can’t help but laugh at how the tides have turned. If the rules state you can’t do something, then you have to suffer whatever the consequences the organization decides upon, it’s really that simple. So whereas Xavier only took a sip of water, it clearly states in the rule book that it is not allowed and thus you must be willing to pay the price. From my personal opinion and experience, anyone who breaks the rules or accepts help form outside the parameter….hell …even pacing …it defeats the purpose and the sole reason for running these races. I think all races should not allow pacers, but that’s my opinion. The feeling you get from running through the mountains on your own two feet without any extra help is a feeling that is unlike anything else. It is a feeling of contentment and leaving your heart and soul out on the trail. I agréé with you, muling is beyond some line. The european race do not allow pacet and I see no reason to allow them. Those athlète can care fir themselves ! And in terms of fairness… Shocking ! This whole Xavier DQ scenario, rightly or wrongly solidifies my intention never to enter the Hardrock Lottery or care about this so-called fun run that has a winner, i.e. a bad-faith race, ever again. I gravitated towards trail running after being disgusted with doping in pro cycling (and even amateur cycling races I was involved in). Given (as Sage C. notes) that ultra running is not 100% clean and imho now has DQ decisions that make the Tour de France commissaires look like geniuses, I plan to put down the ultra Kool-Aid for a bit and indulge in the Pyrennean TdF stages over the next few days. A whole different level of spectacle, athleticism and hypocrisy — they shoot horses, don’t they? Like so often in life, at the end there are only losers…. at least the hardrock-rules commity has the opportunity to make things right in the results of 2015 and dq Jamil Coury for taking a beer outside the aid station. I have now a much better understanding what it means, when people talk about the hardrock-family and community. Putting on rules and put no penalty in place in cases of a violation is certainly an interresting approach in jurisdiction. Very sadly a bad taste will remain…. Whenever and wherever money takes over, things happen, you would never have seen otherwise…. From France with an experience in the us I found quite “overvalued” this “community” thing as it seemeds to be à lot of word but rare examples. Many runner find a group to sneak in (sounds like highschool) but for some circles of Rd/sponsor/youtubers it has lead to weird mixes. Jamil’s vid often passed over me as I couldn’t get tigether the “friendly/casual” talk with this ton of race result and gears. I much prefer people filming their own ultra expérience, and in France we zre gifted with à ton that do not bragg as the american do. Seems soooo “fake usa” to me ! This story really fends the fog. But in a way the way those “cool sellers” manage to put in a box and market Anton was quite à warning. The upside is that manny runners are really inspiring unlike walmsley and some other gone nut zbout record and faking to be cool as they are just shallow (from interviews). I understand american hardly love Xavier because very few translated interview. But trust me he really rocks when talking french without the languag/formal barrier ! To be honest, if irunfar does an investigative piece like that, I’d expect them to mention all aspects of the story. and the fact that jeff browning is sponsored by altra and altra is one of the main sponsors of hardrock should at least be mentioned in the article. Well I agréé but it is quite à bold znd rusky step to do as a journalist. But now they can(should?) write that some people think so ! Honestly I feel they made a great job to lay things flat with à compréhensive view of persoectives. Hat off to I run far. Ok – the facts and the rules have been covered by now. But once the RD had all the facts straight, what is the DOWNSIDE of saying ‘1 hour time penalty served in the aid station’ and then making a statement after the race, explaining what happened and why and then updating the rulebook for the next year? Where’s the ‘con’ to that course of action? Do we really think the 2nd-4th place finishers would’ve heartily complained about it? That’s the biggest disappointment in this whole saga to me. I genuinely think that’s the most logical solution that’s fair to everyone in the current situation AND clears it up in the future. Yes indeed and it looks like everybody is your mind. That’s why many get crazy on their back including me ! To be candid: This site isn’t going to be the place where any sort of honest discussion happens. The owners of iRunfar have a vested interest to acquiesce and agree with Hard Rock organizers, as they greatly benefit financially from covering this race.. and from gaining entry into this race. ….? are they deleting posts? are they censoring anyone? did I miss something? the reason Bryon and Meghan have been picked in the lottery speaks to their level of experience / time spent in the sport. they’ve likely both been entering the lottery for years. they’ve definitely both been running trails for a long time. do they benefit financially from covering the race? well, it’s their job, so technically they do. but if you think for one second that B+M are rolling in dough because of IRF, and specifically because of any ONE race that they cover, you are way off base. lastly, I want to say that there are clearly lots of people who disagree with the DQ, but when it comes to the Altra conspiracy or the nationalistically motivated reasons for the DQ etc, it’s got to be a very small vocal minority (or even one person from letsrun??) who are pushing some of those ideas. if you aren’t seeing your agenda take off it’s likely because most of the regular readers of this site find the ideas implausible (and rightly so!). I’m not saying it’s a nationalistically motivated DQ, though maybe others have said that. I’m saying that the different culture and language had an effect on Xavier’s behavior and understanding of consequences and nit picky type people. And I explained why in a way that some people might not get on their own, not having family or friends that are foreigners. And yes, I’m on letsrun, and purposely posted under the same user name for people who read both. Tbat doesn’t. That doesn’t mean that I’m new here. I normally post as Lightning or whatever. What kind of conversation would you call honest if not the one happening here? We are continuing to host a difficult conversation, allowing comments that are well beyond our comment policy in both tone and intent in the hopes that we as community will end up going somewhere good at the end of all this difficulty. And to be clear, iRunFar hasn’t yet publicly expressed any opinions on the matter, as it has been most important for us to: 1. present the facts as we were able to understand them, and 2. host an open conversation without our voices/opinions yet influencing anyone in the community. Thank you iRunFar for delivering news in a fair, unbiased fashion. Trying to get down to the facts and report those facts to the public, without iRunFar’s opinion attached is something that is missing in our national news outlets today. If there is any lesson to learn in all of this, I hope the iRunFar community’s realizes how lucky we are to have a trail/ultra running media outlet is dedicated to delivering unbiased news. Thank you! …..draft resolution setting forth new penalties for rules violations during “run”…… work in progress….. final draft to be adopted upon consideration from board….. Thanks for the fresh air and spirited humour ! Given that the disqualification of XT generated this much (heated) debate in the community, it’s clear (at least to me) that the decision is controversial and that the rules should have been more definitive in the first place. Aid outside the aid stations should be strictly forbidden, with the penalty of immediate DQ. The racer would then be absolutely clear on what was going to happen should he choose to go against those guidelines. I have an enormous respect for the whole community and appreciate the all around efforts involved in the organization of Hardrock on a yearly basis. I sure hope to be lucky enough to toe the line in Silverton one day. But I do have to side with the folks which think that the punishment was too severe for what XT did. This is a hard life lesson, both for the racer and the race committee. I am sure none of the involved parties had any malicious intent, it’s just a set of unfortunate events. Hopefully HR 2018 and the bitter aftertaste it generated will in the end change things for the better for future iterations of the race. Or, how about relaxing the rules a bit? Why does when anything happen, people want more and more rules? I’d say relaxing it to ensure that there can be more of a judgment call would be better. Also, I think spectator aid should absolutely be allowed. It’s just a natural thing for spectators to want to do, including many that won’t be aware of aid restrictions. It’s also natural for someone to accept aid from a friendly face. Sure, I’ll take that beer. If you strictly ban that, you’ll get so many inadvertent cases of aid that you’re guaranteed a lot of DQs if, for example, you required everyone to be monitored 100% (like a body camera, or in some distant future, a drone with a 48-hour battery life following each runner) rather than only get random or possibly biased where people are judging some things as OK because they could imaging accept that kind of aid, and others not OK.
Rules set a clear expectation and reduce the need for a judgement call, as was the case in this instance of receiving crew aid outside of the designated area. Individuals with integrity know and follow the rules, and don’t need to be monitored. When violations occur, it is up to those with integrity to make the offender aware of the rule and report the violation to officials. Enforcement of a rule is not solely about the individual violating the rule, it is more about respecting and preserving the integrity of the event and individuals following the rules. It’s unfortunate for the offender, but he ultimately made both the choice to ignore the rule and later decline the opportunity to finish unranked. There are races where the rules are simpler. For example, not having rules that mention aid at all. Those races go off fine, and you don’t have any controversy about aid in those races. That’s what I mean be relaxing the rules as an alternative to tightening rules. The races will still have “integrity”, but won’t have to worry about DQing people for aid. If you need to limit where people can park or whatever, overcrowded roads/trailhead concerns or due to permits, give parking tickets to those parked in the wrong places. If someone hikes in to give aid to a runner, or to any runner, but parks in a legal spot, good for them. I’m genuinely perplexed by the tone of Xavier’s interview. Does he really not see the distinction of crew versus not-crew? Is it a translation issue? His attempt to equivocate is off-putting. Let me help. If a woman hands candy to everyone – you got candy. If you stop and meet with your crew somewhere – they could hand you anything. Maybe even more than you are admitting to. I’m not saying this happened. I’m saying that’s why people treat crew meetings so differently. Crew are armed with anything their runner might need. Their sole function is support. Also – the one thing we actually don’t know is what Xavier and his crew said to Dale when. We know there were conversations. We don’t know exactly what was said. Is it possible that Xavier and/or crew’s initial assertion of the event not happening might have colored people’s ability to trust what was said after? Sorry but it has never been szid one should be forbiden to meet crew put of aid station under the sfntence of DQ. It has never been written, wich implies some indulgence for first reported case. But seriously it has never been written beczuse it is obvioudly excessive, it puts à crazy stress on crews. And sorry but crew people are nonnofgicial so Who is in your crew or not ? Trust Kj as thouthand of people Who would happily give him water or some food. And happily it doesn’t take to be Kj to get help along trails. I gave water several times to fellow runners and got helped many times to strap or even even got à spare headlamp. That is the very basis of solidarity in Mountain especially. In Europe oeople run without oacer are family comes generally only coleat one or two points in the ultra so of course we befriend and help each other. So that’s why this slope Rd took is so dangerous. If people stop to help each other in any way some are gonna die someday and likely on hardrock handies ! I remember that KJ got helped by mike for his shoulder, that deserves respect not DQ ! Well indeed à 1h penalty as done in utmb and other races looks Nice to Everyone. First of all thanks IRF for the space and the coverage. My point of view of the situation is that all punitive systems in civilized societies conserve or should retain a proportionality feature. Clearly that has not happened in the sanction imposed by RD to XT. More than 90% of those who have written believe that the sanction was exaggerated and even the RD Itzel expressly stated in its statement that there was no bad faith for XT’s prye. n this sense, the same penalty can not and should not be applied to those who have been negligent as to those who have been cheating. That being the case, the sanction against XT was unfair and arbitrary. So yrue, what will they do the dzy someone cheat deliberateky ? DQ + slam on the but ? “iRunFar: You had a conversation that lasted several minutes with him at Cunningham. I think a lot of people are focusing on the wrong issue. Answers changing dramatically, even if it’s innocent, is very problematic for an RD I would think. I’ve already said this before, but it’s very easy to understand in terms of him not fully grasping the rules ahead of that, so brushing aside what he thought was innocent. Also, they didn’t have a French translator in that previous conversation. Between those two things, and being confronted and asked a weird, lawyerly-sounding planned question, and it’s easy to see the answers changing. Zzzz, I would agree with you — but actually they DID have a translator before and after the answers changed (see Dale’s interview above). That’s my point. Dale says they missed their chance at Grouse but spoke at Sherman WITH the Translator. And then Dale was contacted later by Xavier’s team and they spoke again at Cunningham WITH the Translator. I think this change makes it tricky on the RD, I’m not saying I can’t imagine the change, I’m just saying it makes it hard on the RD. And might have impacted the decision. Surely that’s not hard to understand. Curious what Speedgoat thinks, being he’s both an RD who has dealt with issues in the past and is a Hardrocker who knows the course. I can see why people think it’s being deceptive, and in some ways it is. But it’s natural to try to brush things off if you really don’t think you did anything wrong. I’m sure everyone has experience this in their own personal relationships even. It’s the wrong metric to look at when looking at intent. For similar reasons, you get people saying the wrong things then changing their stories when confronted by police, even in cases where it turned out they did nothing wrong. It’s an off-the-cuff response. It’s one of the reasons you sometimes have people convicted for things that they didn’t do. I’d not look to what someone says in the heat of the moment as something said as a deliberate lie. Continuing that second paragraph, since I probably didn’t make it clear why it’s a similar situation. People are sometimes convicted for a crimes that they didn’t commit (later turned over by DNA evidence) because they changed their stories, perhaps about things like their whereabouts. The prosecutors point out the changed story, and the person gets convicted. That’s more of a legal move to try pin someone down. In a situation like this, it makes more sense to just accept that the answer will be different if the person is still trying to run, and brushing off what he thought was not trying to cheat, than when he is pinned down by the race director and given a “did you do this?” with a carefully worded question. To simplify, trying to get away with something is different from intentionally trying to cheat. There’s no foul intended. I’d like to congratulate Meghan and IRF on a well written, methodically researched, and logically presented piece of ultra running journalism. It’s a shame that this comments section is being used as a message board for tin-foil hat wearing conspiracists who have nothing better to do than spread paranoid baseless rumours. For the record, I would listen to any credible evidence that there might have been an ulterior motive behind the decision to disqualify Xavier, but there certainly isn’t any such evidence in this comments section. Instead we get to have not-fun conversations about candy-from-spectators, beer-swilling outside aid stations, etc. I’ve even seen calls for Rule #1 be enforced – there was whining on the course, more DQs! In the end, it’s just sad. Integrity is more than just strict adherence to a rule set – it’s recognizing what’s at stake and adapting to the conditions as they’re presented. Thanks for a great article (and the time and effort taken to create it) and providing a forum for discussion! Would that apply more to Dale or Xavier? So it sounds like the decision was made not to create policy-on-the-fly. Well, there’s never been a DQ at HR, so like it or not, policy is being made. The question is whether you’re going to enact policy that fits the situation or you’re going to rigidly follow a set of rules created in the past that may or may not apply to the present. The decision that was made has no heart – a computer algorithm could have produced the same result. I hope HR sees the error in what occurred and has the grace to admit a mistake was made and issues an apology to Xavier and the community. The results are fixed and can’t be changed – but things can still be made right. It just takes heart. It’s time for us to post a reminder that iRunFar has a comment policy, https://www.irunfar.com/irunfar-comment-policy. If you haven’t read it, please do before commenting. Unfounded accusations about people and brands are against policy. Personal attacks on people are against policy. Intentionally inflammatory language is also against policy. As we have said many times on iRunFar in the past, speak here like you would speak to others with whom you are trail running. When we trail run, we debate, disagree, and sometimes even legit fight. But in person with each other, we are almost always civil and constructive. This is the simple sniff test of commenting on iRunFar: would you say what you are saying here to someone in real life? I personally believe we have the ability to grow productively as a community out of what happened last weekend if we choose to make our conversations about it productive. Please choose that path here on iRunFar. Thank you. You all have gone well beyond your policy in allowing some of the comments. Not sure if that is a good or bad thing but understand you are in a tricky position, damned if you let it go and damned if you don’t allow it in some folks eyes. If one reads through the comments, there are very few that are actually constructive. Take Care. Did the crew miss Xavier at the Ouray aid station? If so, that would pretty much explain everything. He might have arrived at the aid station earlier than his crew, thus they could have tried to meet up somewhere else. I wouldn’t call this “cheating”, although out of the rules. This race seems to me a “take or leave” thing, a magnificent adventure on a side, based on anachronistic practices on the other side (crews, pacers). While Xavier is likely a true passionate of the adventurous side of the race, he might have been hit by surprise when the race director has applied to a strict enforcement of rules. To use his words, in a “context” like this, he thought he wasn’t doing anything wrong. Claudio – they did not miss him at the Ouray aid station. The RD doesn’t seem to think it was egregious cheating either, but a clear violation of the rules. The problem is that if he was allowed to finish, could his time be fairly compared to others? So a time penalty does seem like it would make sense, but then how much? That gets complicated, especially since it’s not a practice with precedent in the USA (correct me if wrong, does anyone know if time penalties have been used much in USA races?). I think I would have been happy with an asterisk next to his time marking it as technically invalid in the history of HR results, but clearly as the winner on the day. iRunFar clearly chose to not publish the photos taken by Tony Russ, so I won’t link to them here. Needless to say, if anyone really wants to see them you can search online. I suggest doing this – it definitely made me a little bit less sympathetic to XT’s case, though I still have mad respect for him and he is a great athlete. Poban, thank you for the answer. Well, while basically I do agree with you on everything you say – and yes, I have seen the pictures – yet I wonder on a side note whether this race, which apparently benefits of a substantial sponsorship, is not ready at this point for the next level (the standard, I would say, is set by European events like UTMB or Lavaredo Ultra Trail). Couldn’t this unfortunate accident be a (sort of) crossroads for the organizers? Really sad day for Ultrarunning. He was light years ahead, gives the whole thing a really bad taste. He was unbeatable on the day, no matter whether he git a bit of water or not. We are not at the Olympics. A lower penalty would surely suffice and a friendly reminder to crew and runner about the rules. I am also shocked that some people are so eager to report such, for me minor, violations, especially given the fact that XT was unbeatable on that day. The one thing interesting being missed in this discussion is that Xavier opted not to continue on. I totally get the disheartening feeling, but this to me flies in the face of peoples description of him. By this I mean the description that he is a mountain man, he does it for the love of nature, etc. Many of these sentiments exist in the comments above. Had he chosen to continue on and finish the race the RD’s would have then been able to amend their decision. Even if they had not immediately revisited the DQ, maybe the light of time would have changed things. Even the RD’s never amended their decision there would be an understanding in the ultra world where his performance would rank. Regardless it appears mistakes may have been made all around. I thought about that, too. plus it may give personal satisfaction, though you know your results are ‘invalid’. but I think it actually ended up being a nicer thing for Jeff Browning for XT to have not finished. I don’t know if that was on his mind at all, but it helped to make Browning’s win feel more like a win (which it was!). I’m not sure “he didn’t gain any benefit” is a valid argument for a light penalty. Hypothetically, let’s say the infraction was littering instead of outside aid. Let’s also say (hypothetically) that a runner denied littering but then was presented with a video showing her intentionally littering and then she admitted to it. Personally, I would be completely on board with a DQ for littering (and lying about it) and I think most other folks here would agree. As a middle of the pack trail runner (South African who dislikes Altra – so hopefully unbiased) I always make sure I read the rules prior to competing in an event – XT is an Elite sponsored athlete and as such has a duty to his sponsors and team to ensure that he is fully acquainted with the rules (so does the team by the way). Unfortunately if you break the rules you break the rules and therefore must face the penalty. Society has become very tolerant of rule infractions and making thousands of exceptions only complicates things, as such setting a strict precedent can be good thing. It should however be uniformly applied going forward. Thanks iRun Far, for hosting such an interesting discussion. the whole thing is just so very unfortunate. i don’t believe XT meant to violate any rules, but he did unknowingly, and undortunately ignorance is not a waiver from the rules. there is of course also the language barrier and cultural barrier where he’s just going to interprate what happened so very differently. and for this reason, i’m not willing to flat out call him or his crew liars either. when confronted with the questions, i don’t even think they understood what they were being asked, interpretor or not (although good on Dale and the committee to go so far as to seek out an interpretor) was the DQ too harsh of a punishment? perhaps. but that’s what the Hardock committee had in place at the time, never expecting that they’d have to actually enforce an infraction. if they had just arbitrarily come up with a time penalty on the fly, that would have come off as even more hairball and amateur. we’re talking about a race that changes direction every year, a race where lightning storms randomly create time penalties of their own! i am certain that this was not an easy decision for Dale and he committe, but they had no choice. it was just a lose/lose situation from the moment XT met up with his crew in the Bear Creek lot to the moment Tony Russ saw it all. also, correct me if i’m wrong here, but wasn’t the Bear Creek Trail closed to ALL except Hardrock participants and their pacers coming out of Ouray (no crew, spectators or day hikers allowed) due to the recent flooding damage and delicate condition of the trail that Trujillo and other volunteers worked tirelessly to repair so that the race could go on without a massive detour? pretty sure i saw posted signs at the trailhead as well, so wasn’t this Tony Russ guy also in violation? hmmmmm. sounds like nobody was free from wrongdoing here…. As a five time HR finisher from long ago, I have faith in Dale and the rest of the staff in their decision making process. It was a hard decision, and I am glad I did not have to make it. The rules are clear, and XT screwed up – the issue is was the punishment too severe? I was not there, so I will go with Dale’s decision. If XT and anyone else is that upset about the decision, and many apparently are after browsing the comments, you do not have to enter the lottery or show up for the run. No one will miss you, and plenty of other runners will take your place. Have a great evening. 2. He clearly broke the rules, which you can’t do in any sporting event, so for there to be a consequence is completely expected and normal. And it’s a tragedy, since he’s a great guy and would have easily won regardless. And keep in mind, wherever you go and whatever you do, you follow the laws of wherever you are – not knowing them is no excuse. 3. While the runner is always ultimately responsible, note that this tragedy is on his crew. Runners focus all their energy on moving forward; the crew should be managing everything else – they really blew it. One also notes the water was given on the longest stretch w/o potable water on the whole course, on the lowest and hottest section, so the aid given was not casual nor inconsequential. 4. JT’s suggestion that a lesser penalty could have been imposed is reasonable. “Relegation” is common in cycling for example; a time penalty is imposed for infractions while a DQ is reserved for intentionally causing harm. And the HR100 Board’s assertion that there was no formula or precedent in existence for such a time penalty is also correct and reasonable, so they simply followed the clearly stated rules rather than inventing something on the spot. I presume they will develop more detailed protocols for the future. 5. A sad situation – sincere condolences to JT – and hearty congratulations to everyone else including Jeff B, and a big thanks to all those who work to make this event possible! Mr Burrell – Thanks for your excellent and easy to understand comments – probably the best of the many in this long thread about the DQ situation. This might be a big opportunity where US ultratrail running can grow on. It’s not like we didn’t have rules before. The problem I see is, that in most cases the rules where never really enforced. But some exceptions come to mind when Hans Dieter Weisshaar (The first runner with 100 x 100 mile races) got a DQ when he threw a banana peel away at Javelina Jundred, I believe. Per definition a sport is doing something within a set of rules. We need rules and we need rule enforcement. Xavier Thevenard thinks he just got one swig out of a water bottle and the punishment was to harsh. Would have been a time penalty of 1hour per swig enough? How much do the minutes with the crew help. It seems he spend a couple minutes with them? 1 minute with crew at a illegal spot another hour penalty? This is not the first time that runners and crew did not the right thing but it is maybe the first time we start talking about it. Not too relevant, but I was working Grouse Aid when Xavier came in. He and his pacer looked worried about something, and his crew was hoovering around him outside the tent, kind of hush-hush like. I knew they weren’t too worried about Jeff B (over an hour behind at that point). Xavier was holding his right quad as he checked in, I so I assumed it had to do with an injury or something. The interpreter used by HR was also working Grouse Aid and I saw him and someone else talking to Xavier and his crew for a couple of minutes, so I can back that up. Xavier and his pacer then left. Not moving as fast or as certain as I would’ve expected. Jeff came in an hour later looking incredibly fresh, executed an aid station stop that would make a NASCAR team proud and confidently pounded up through the swichbacks above Grouse under a rainbow. I really thought he had a chance to overtake Xavier (didn’t happen obviously). Some time later there was some hush-hush traffic on the HAM radio that we all kind of looked at each other like “what?”. Then Silverton started begging Grouse to send the translator to Cunningham. Grouse kept replying his family was with him and it wasn’t optimal for him to leave. Eventually they worked something out and the translator left for Cunningham. Lots of suspense. Personally, I wish the rule book had allowed for a lessor punishment but it did not. The race committee would’ve been criticized either way, DQ or not – it’s a no-win for them. Feel bad for Jeff too, but his performance earned him the win fair and square. Great guy, and consistent. Over 100 Ultras with only one DNF! I find it ironic that many comments are focused on a conspiracy to DQ XT but utterly miss the fact that could not have been DQ’d if he had followed the rules in the first place. Other comments focus on how strict european races are and use that as justification for why XT made his decision to break the rules at Hardrock, citing the “laid back” culture. Help me understand how and why someone who is used to racing with very strict rule enforcement would believe it was okay to break them in the USA? XT was also offered to continue on and not receive a placement/official time. He declined. He could have chose to continue, and I’m sure many non “top runners” would have gladly done so. XT clearly didn’t care about just finishing as he rejected that option. Lastly, someone else posted something to the effect of, had XT known breaking the rules by having his crew provide aid outside of an aid station would have him DQ’d, he never would have done it. In my view, XT either didn’t bother to understand the rules and inform his crew, or he took a calculated risk that breaking the rules would not significantly impact him. Either way, it’s pretty simple. He broke the rules and a penalty was enforced. I’m not aware of any precedent for time penalties for breaking the rules at least in ultras in the USA. In general in almost every ultra, breaking the rules will result in a DQ, no other options. I am European (from the Dolomites) but I live in the US since 3 years: have raced both in Europe and North America. I wouldn’t say European races have strict rules. There are clear rules in Europe but, generally speaking, the main thing is that in Europe the races are organized better. I read here below that “it took forever to find a translator”: well, that is bad organization. Imagine if Thevenard had been in trouble, injured, lost… And I’m not saying here all races in the US are like that (I run every year The Rut in Montana, which is a terrific event with great organization). But sometimes when I read things like “if you don’t like this race you do not have to enter the lottery, no one will miss you”, well, that’s not nice: why don’t you open your eyes, there is a world out there. Doing the Hardrock every year 10 years in a row is great but… why don’t you take a break and go racing in the Alps for once, do something different. And, last but not least, calling Thevenard a “cheater” is just as stupid as is the theory of a conspiracy against his win. Having volunteered at HR this year, I can say I have not seen a better organized race in U.S. It’s on-par with the European races I’ve done. The absence of a translator for every foreign-language nationality in the field does not reflect poorly on race organization, that’s simple not a contingency they should have to plan for. When I race in Europe, I don’t expect them to speak English. Finding a translator for XT was a courtesy, and a necessary part of due-process in this case. Having translators at every corner where you could make a wrong turn or fall and get hurt is a laughable expectation. As you know, most European athletes speak passable English. This was a rare case where a translator was needed to make sure the rules were clearly understood. Hey, Woodsman, did I write that a translator is needed “at every corner where you could make a wrong turn or fall and get hurt”?!? Also, you say that when you race in Europe you do not expect them to speak English. So, tell me please (out of curiosity), where did you go, which race. And finally… when it is about volunteers, I can only say “thank you”: whatever the result is, it comes from the heart and the passion for this sport. So, thank you Woodsman for having volunteered. And please be aware I am not writing here with the aim to be antagonistic (well, at least you find me “laughable”). I am just trying to be constructive and drive the attention of someone to the point that, if you just say “it is what it is: you don’t like it, then do not enter the lottery, no one will miss you”, eventually you will end up with a sort of a picnic among buddies, instead of an international trail running event. See my comment above. One reason it took so long for the DQ because it took them forever to get the translator from Grouse to Cunningham. He really didn’t want to go to Cunningham in the dead of night and leave his family at Grouse where he was working the AS. They needed the translator to complete the investigation. Claudio – I think it was my comment you quoted, “it is what it is: you don’t like it, then do not enter the lottery, no one will miss you”. After reading the various comments since mine, I standby the comment. If you do not like the way Hardrock is run, then don’t try to enter it. That makes perfect sense to me. And if you go away, it means the 2000 applicants to the lottery will have a better (minimally better…) chance to get in. That also makes perfect sense to me. I have faith and trust in Dale and the Hardrock organization since I did my first HR back in 2000. I also think that the staff might consider using ten slots to invite competitive, including US and international, elite women and men runners (five each) to increase the competition and interest in Hardrock. Perhaps this has already been considered by the staff. These elite runners would obviously have to have an understanding of the rules and the penalties to avoid more DQs similar to the apparent controversy that happened this year. Thank you Bud. I get your point, makes sense. Well, ultimately you’re conceding that somewhat there is room for improvement, and that is exactly what I’m trying to say. Also, ref. other comments, I would add that calling Thevenard a “cheater” is the fruit of an unfair, black-or-white, brutal and primitive analysis of the facts. We can do better. Claudio – I do agree regarding the comments that called XT a cheater. He simply screwed up and paid a high price, and using the term”cheater” is uncalled for, and actually an embarrassment for the Hardrock and US ultrarunning community. Hopefully, that sort of name calling can be avoided in the future. Have a great day. Bud, at the end of this discussion, while I’m happy that I had the opportunity to express my thoughts, at the same time I feel I’ve learned from you how strong and special should be the community who started and made big this Hardrock 100 thing. It is something bigger than the competition and its rules. Thank you! So i looked at the Runner’s Manual and to my surprise it shows that HRH does not have any Rules in place. How did i came to this conclusion ? Dylan, if that was a rule, it would clearly state what happens if you violate it. This “guideline information” only says that the runner *may* be disqualified if they receive aid outside the designated area. The race director had as much freedom to come up with a reasonable punishment as they wanted, they weren’t constrained by rules. Yet they chose the harshest sanction. Why? And the answer that they were lazy or scared to think through a proportional punishment (relegation/penalty) is hardly a valid reason. Also, I would like to see a statement from the HR organisers that prevents this kind of disproportional treatment in the future – preparing revision of rules, handbook with clear sanctions, etc. Yet there is nothing to this effect on the entire internet. It really contradicts the stated sentiment that the organisers were unhappy about the whole situation. They would try to do something about it if they were indeed sorry. To top it off, they invited Xavier to enter the lottery for the next edition! Are they making fun of him? The lottery where veterans, aka friends & buddies, get an entry to hike the loop every year. While this point might seem cheap, it isn’t. Look at the odds and the number of reserved places for each category. Xavier won the 2018 Hard Rock 100. The rest is all red tape, confusion and politics. Congrats to Jeff Browning for second place! Alain, I obviously read a different HR finishers list than you did. XT did not finish? Kind of hard to win when you don’t finish the course?